Hawaiian Building Maintenance (HBM), Hawaii’s largest facilities services company, has promoted Jim Birchfield to vice president of technical engineering services and Jodi Okada to director of internal operations. Birchfield, who joined HBM in 1998 as a building engineer, brings more than 30 years of management, leadership and hands-on engineering experience to the company. In his new role, he will oversee HBM’s engineering and services division, which provides technical and engineering support to customers. His oversight will ensure optimum operation and quality maintenance of property systems and equipment, which includes general maintenance of various systems such as plumbing, electrical, carpentry, electronic systems and more. 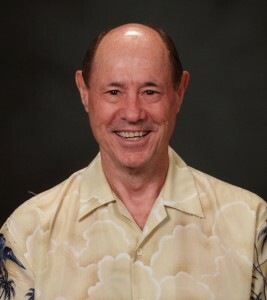 Over the years he has also served HBM as executive director of engineering services, director of engineering operations, and as chief engineer for many of Hawaii’s prestigious office buildings and residential complexes. A few of the properties include the Pacific Guardian Center, the historic Dillingham Transportation Building, Harbor Court, Imperial Plaza and the Ilikai condominiums. Born in Colorado Springs, Colorado, Birchfield began his career as an enlisted machinist in the U.S. Navy and worked his way up to Lieutenant Commander. He graduated from the U.S. Navy’s finest engineering schools and the Pacific Maritime Academy for marine engineering. He received his maritime Chief Engineer license in 1997. He also served as chief engineer overseeing 300 technical specialists; and Officer in Charge of a fleet training team responsible for providing engineering support to the Pacific Fleet in Pearl Harbor. In addition, he has served in high-risk military combat and fleet operations in the Asia Pacific, Middle Pacific, Middle East, and in the Vietnam and the Persian Gulf theaters. 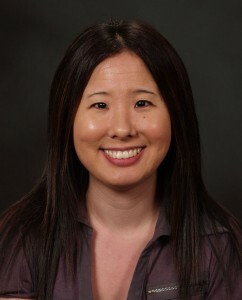 Jodi Okada joined HBM in 2002 as a payroll/AR administrator. Since then, she has worked in various departments within the company, including the contracting services division where she served as an administrative manager. As the director of internal operations, Okada will facilitate communication between all of HBM’s departments. Prior to working at HBM, Okada worked for other facilities maintenance and property management companies. 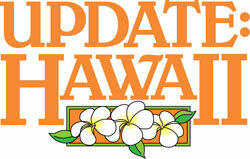 Hawaiian Building Maintenance has delivered professional facilities maintenance services statewide for nearly 50 years. HBM provides air conditioning, janitorial, building engineering, landscaping and window cleaning services to commercial office buildings, retail centers, condominium associations, hotels, institutions, and government facilities. Visit www.hbmhawaii.com.